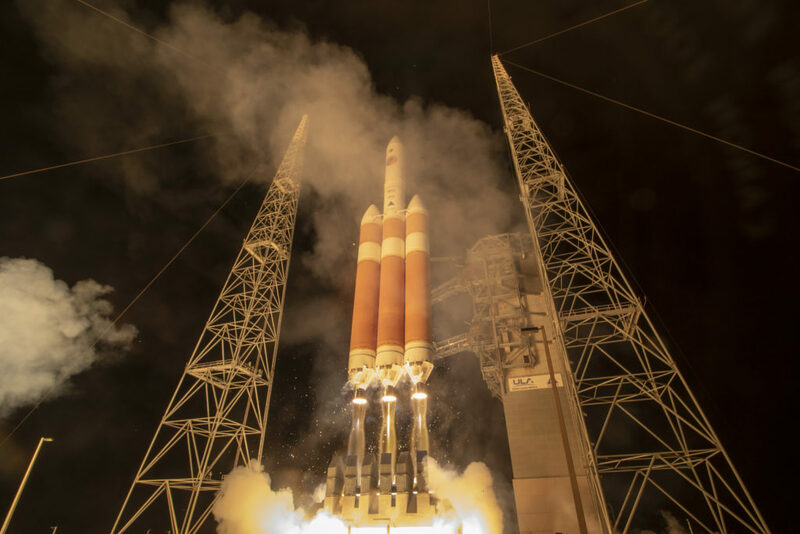 A United Launch Alliance (ULA) Delta IV Heavy rocket carrying NASA’s Parker Solar Probe spacecraft lifted off from Space Launch Complex-37 on August 12 at 3:31 a.m. EDT. NASA selected ULA’s Delta IV Heavy for its unique ability to deliver the necessary energy to begin the Parker Solar Probe’s journey to the sun. 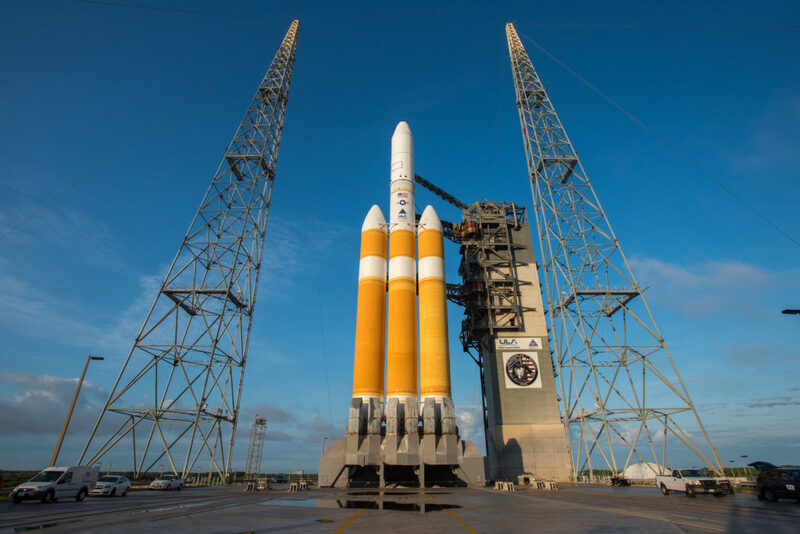 The Delta IV Heavy is the nation’s proven heavy lift launch vehicle, delivering high-priority missions for NASA, the U.S. Air Force and the National Reconnaissance Office. With its advanced cryogenic upper stage, Delta IV Heavy can deliver more than 14,000 pounds/6,350 kg directly to geosynchronous orbit, as well as a wide variety of complex interplanetary trajectories. 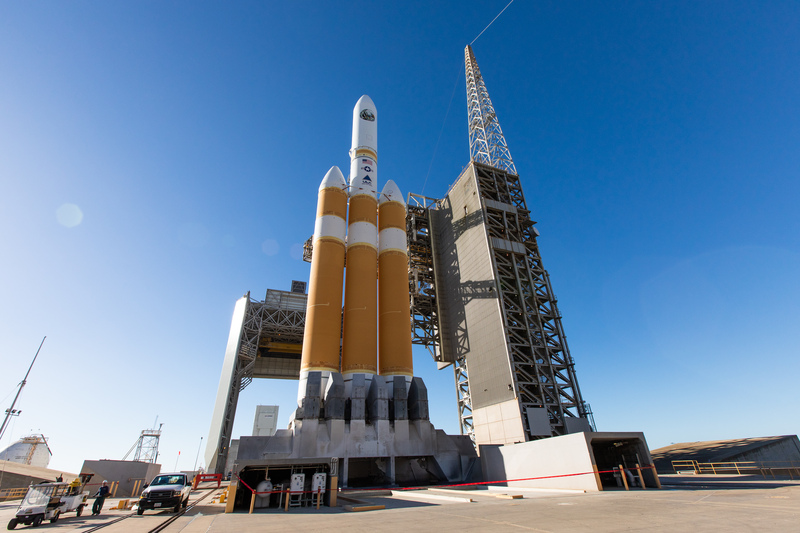 «The unique requirements of this mission made the Delta IV Heavy the perfect launch vehicle to deliver Parker Solar Probe into orbit with the highest precision», said Gary Wentz, ULA vice president of Government and Commercial Programs. «Congratulations to our team and mission partners, we are proud to launch this exceptional spacecraft that will provide invaluable scientific information benefiting all of humankind». This mission was launched aboard a Delta IV Heavy, which is comprised of three common core boosters each powered by an Aerojet Rocketdyne (AR) RS-68A liquid hydrogen/liquid oxygen engines producing a combined total of more than 2.1 million pounds/952,544 kg of thrust. The second stage was powered by an AR RL10B-2 liquid hydrogen/liquid oxygen engine. Due to the extremely high energy required for this mission, the Delta IV Heavy’s capability was enhanced by a powerful third stage provided by Northrop Grumman. ULA’s next launch is the ICESat-2 mission for NASA on what will be the final Delta II mission. The launch is scheduled for September 15 at Space Launch Complex-2 at Vandenberg Air Force Base, California. «We are so honored to deliver the NROL-37 payload to orbit for the National Reconnaissance Office during today’s incredible launch», said Laura Maginnis, ULA vice president of Custom Services. 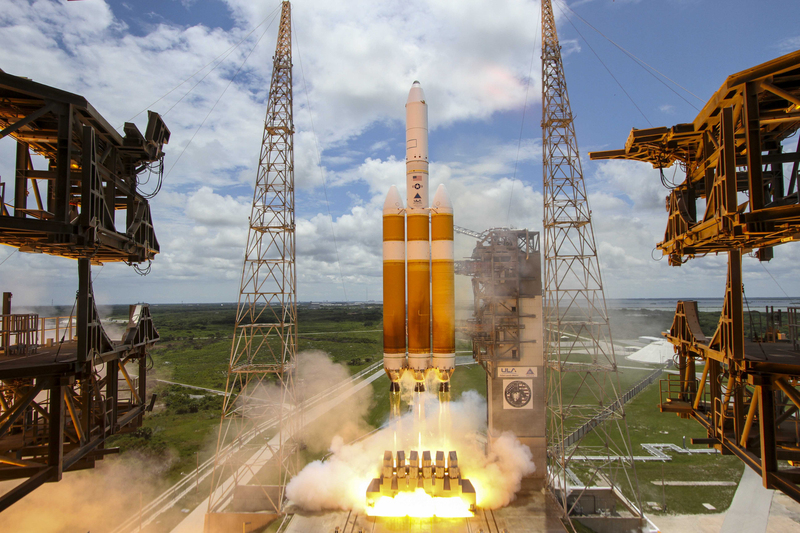 «This was the ninth time ULA launched the Delta IV Heavy, the most powerful launch vehicle in existence today». This mission was launched aboard a Delta IV Heavy configuration Evolved Expendable Launch Vehicle (EELV), which featured a center common booster core along with two strap-on common booster cores. The ULA Delta IV Heavy is currently the world’s largest rocket, providing the nation with reliable and proven heavy lift capability. Each common booster core was powered by an RS-68A liquid hydrogen/liquid oxygen engine producing 702,000 pounds/318,422 kg of thrust. A single RL10 liquid hydrogen/liquid oxygen engine powered the second stage. The booster and upper stage engines are both built by Aerojet Rocketdyne. ULA constructed the Delta IV Heavy launch vehicle in Decatur, Alabama. «The team worked together through many challenges this flow including, overcoming the aftereffects of Tropical Storm Colin», said Maginnis. «We are proud of the outstanding teamwork between the ULA, NRO and Air Force partners to ensure mission success for this critical national security asset».